Perfect with Color Splash!® sand (sold separately). Layer for a beautiful effect! Create and admire, or give as a gift! 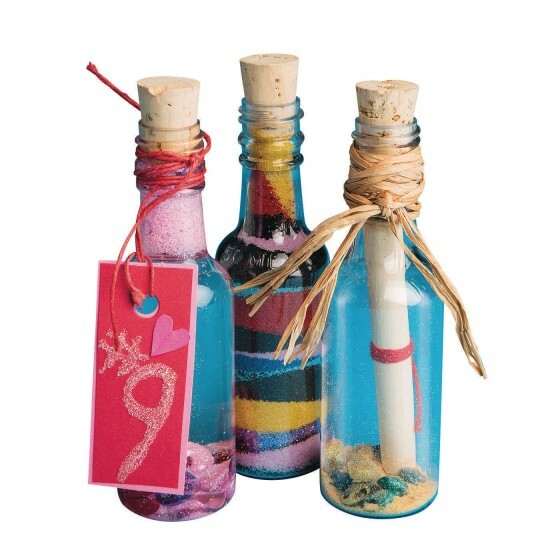 Plastic bottles with corks that you can use with Color Splash!® sand to create beautiful sand scenes or decorate to make cool sand friends! 1-1/4" x 4-1/2". Pack of 24.
these tiny bottles are so fun! ANYTHIng you put in them looks adorable. Would not reccommend using them with any type of liquid however. Perfect size for a small sand project. I used these to make an easy craft. The children age 6-11 added different colored sand. The project was easy and the children loved it. 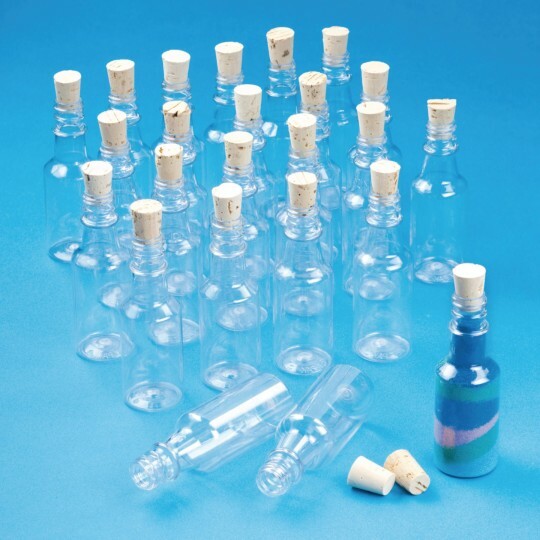 The bottles are small but a good size for the project we were doing. Uses with nursing home residents and a bigger size would be helpful.